The cache is not at the provided coordinate. Instead this will take you to the first stage of our "Twilight" tour. 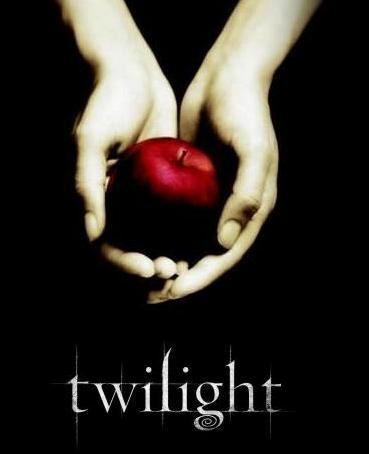 The book Twilight was originally published in 2005 and has been followed by 3 additional books, all having been on the New York Times Bestseller List. The series enjoys a huge fan following. The primary setting for this series is Forks, Washington. It a story of forbidden love between the two main characters Bella Swan, a teenage girl and Edward Cullen, a 107 yr old vampire, now forever stuck in an 17 yr old’s body. Forks being one of the rainiest spots in the United States is the chosen location since the vampires have an aversion to sunlight. A popular movie based on the book was released in November 2008. 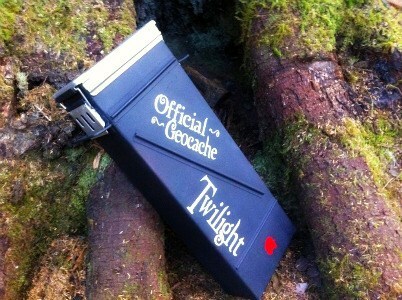 This cache will take you on a tour of many sites mentioned in the book. The fan following from this book’s release has caused a huge influx in tourism in this quiet town, known formerly mainly for logging. 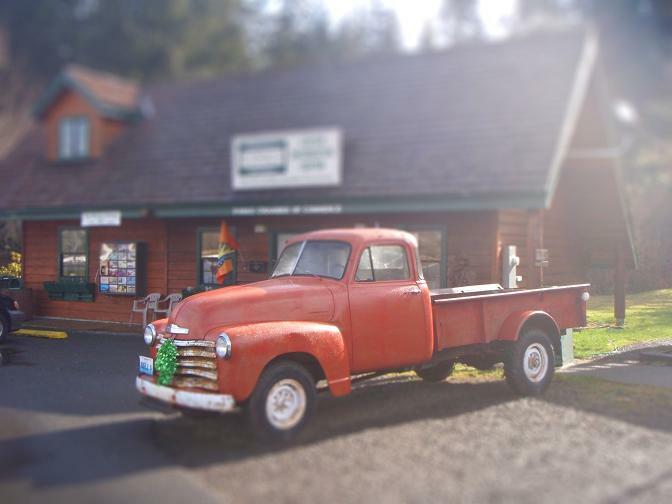 One of the two main characters, Bella Swan is given a truck like this from her father upon arriving into Forks to live with him. Her father bought it from family friends, the Blacks. The Blacks are Quileute Indian, who according to the story are descended from wolves, and Bella’s friend Jacob Black plays a large part in this story. 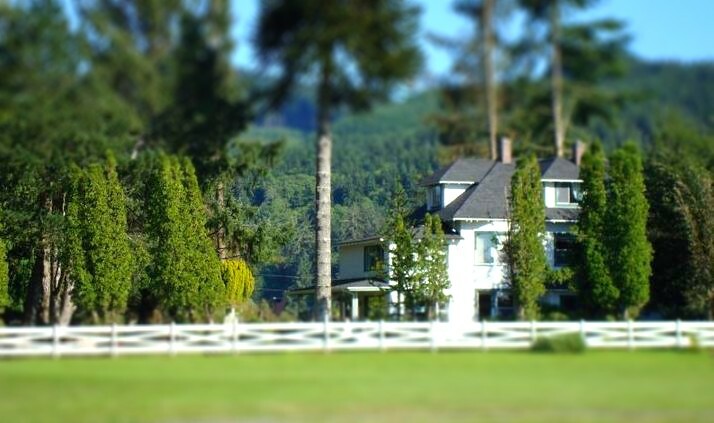 This is Charlie and Bella Swan’s home. Charlie Swan is the town Police Chief. Bella has never lived with her father other than visiting for a week or two here and there. Her bedroom is the one on the upper floor, and she spends many nights in there talking to Edward. This is a private residence and the owners do not mind visitors taking pictures of their home, but ask people to not knock on the door or come onto their property. You don’t need to enter the property to collect the information that you need. At this location, you are simply looking for the house number. It is easily spotted from the street and is also painted on the mailbox. Use the last number and add 1. This new number will be (B). This waypoint brings you to the Forks Hospital. 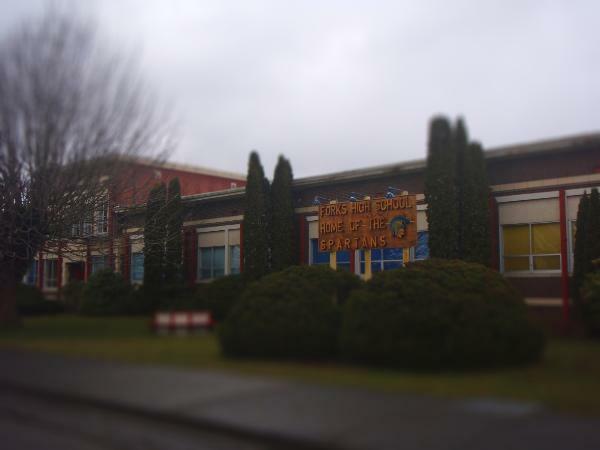 This is where Bella was taken after Edward saves her life in the parking lot of the High School. This is where Bella starts to realize there is something different about Edward. 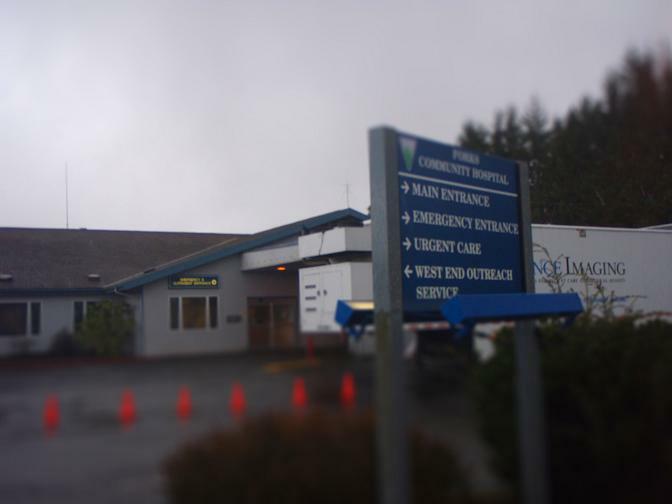 Edward’s father, Carlisle Cullen is a surgeon and works at this hospital.The coordinate will take you to the sign in front of the hospital. Right this sign is a small green and white sign with 3 numbers on it. You are looking for the third number on that sign. Take this number and add 1. This number will be (C). You are now in front of Forks High School. ** This high school is under major rennovation right now ** If you are looking for the high school sign in the picture, it has been moved down the street a bit. You can still get pictures of that sign in it's new location. This is an active public school and may be in session during your visit. There is no need to enter school grounds to get the information needed. The school staff is used to people taking pictures with the building here, so that should still be okay. Bella and Edward both attend this high school together and it is here that they first meet in Biology class even though Edward appears to be repulsed by Bella at first. This stop takes you to the Forks Police Department. 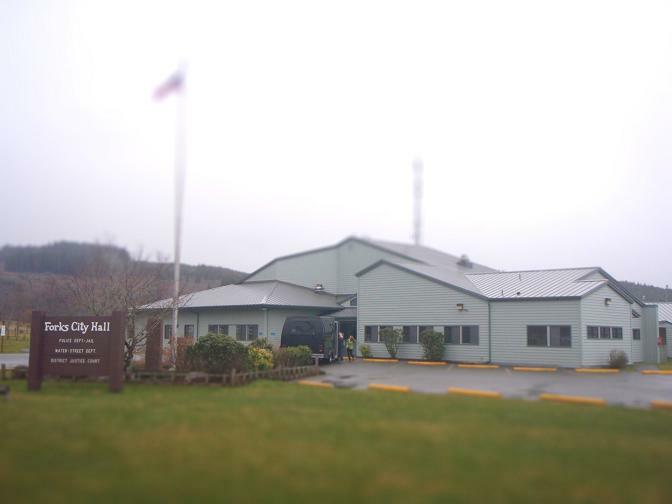 Like many small towns, the Police Department is located adjoined to City Hall. Since Bella’s father Charlie Swan is the Chief of Police, he spends most of his time here. You are now in front of the Cullen family home. This would have been home to Edward, his parents Carlisle and Esme, his brothers Jasper and Emmett, and sisters Alice and Rosalie, all vampires. If you have seen the movie, you will realize this looks nothing like the home in the movie, but instead it looks very much like the description of the house in the book. 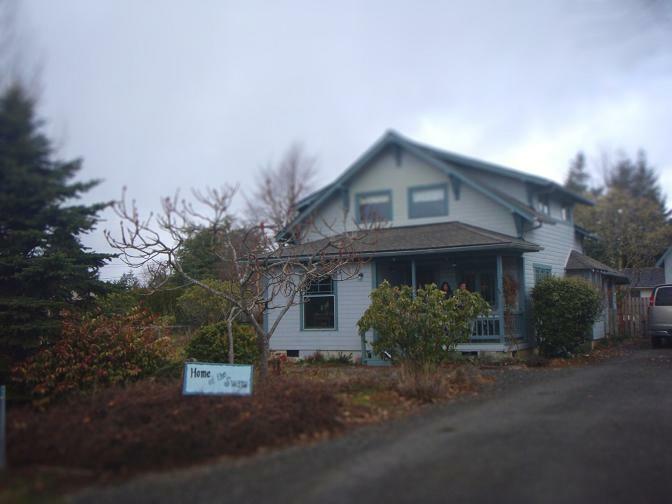 This is now a Bed and Breakfast, and the owners are fine with Twilight fans coming up onto the porch and taking pictures, but ask people to please not knock on the door or enter the building unless you are a guest staying for the night. You will find on the front porch, a white board updated daily, by Esme, with what the Cullen family is doing today. You may also see Edward peeking out the front window. When you are standing in front of the home, you will see steps leading up to the porch. You will need to count these steps (including the top step) – this is the number you are looking for. Take this number and subract 1. This number will now be (G). 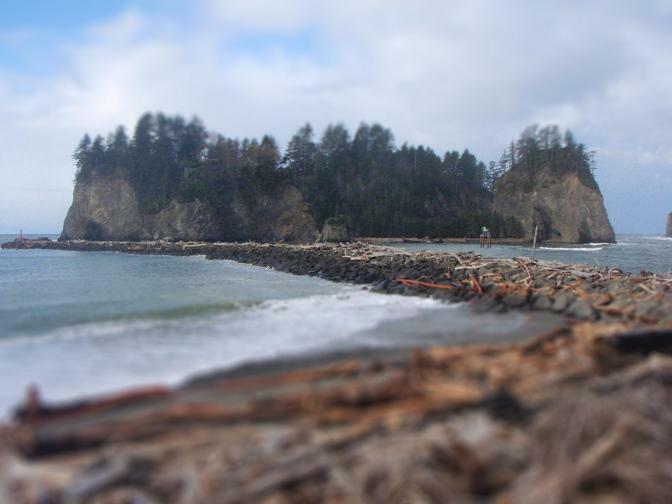 You will soon be entering Quileute land. Part of the struggle in this book is the fact that Bella is good friends with both Edward and Jacob Black, while the two boys are actually not friends at all. Jacob lives here on the Quileute Reservation. There is a long standing agreement between the Quileute Tribe and the vampires. 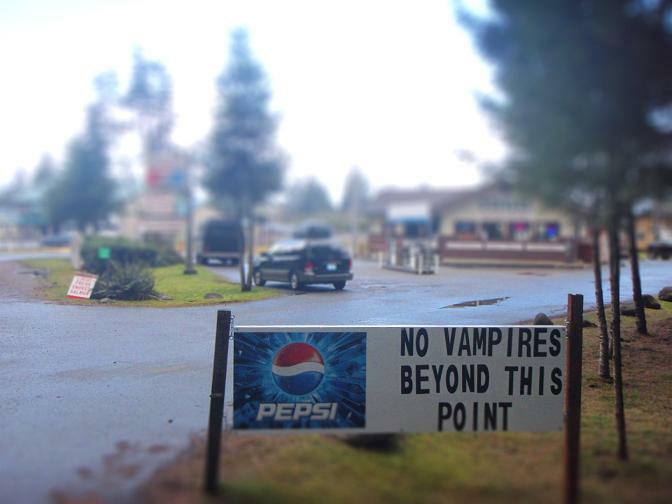 The vampires are not allowed on Quileute land. The location of this fun sign is just a couple of miles from where Quileute land begins. This coordinate brings you to a rugged stretch of the Washington coast at First Beach. This where Bella first speaks with Jacob Black to ask him questions about Edward and some of his odd behavior. Jacob gives Bella enough information to help her find her answer about who Edward really is. 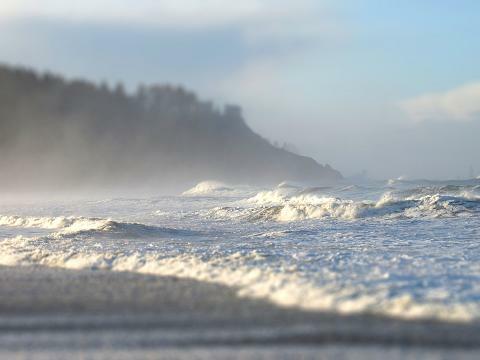 You are now in La Push, Washington in the heart of Quileute land. This is the town where Jacob Black lives. Bella comes here quite often to visit him, as he is a very good friend of hers. You won’t find any vampires around here for sure. The biggest island you see from this coordinate is called James Island. Until the second half of the 1800s, the island was the site of a fortified village. After this, it was used as a site for growing crops for residents of the mainland, as well as a burial site for tribal chiefs. At 160 feet (49 m) in height, the island was also used as a lookout for spotting whales. The island was formerly a sea stack, connected to the mainland, until the US Army Corps of Engineers rerouted the Quillayute River, separating it. Today, the US Coast Guard operates a lighthouse and foghorn for boats coming into the harbor. Due to the recent Coast Guard tragedy, it seems this area has been making some changes. Until things stop changing, just go ahead and use the number 2 for letter J. You have now collected all information that you need to find the final location. You are looking the extra-large ammo can that is pictured above. In the Twilight books Edward took Bella to the tops of the biggest trees in the forest to talk since he could be himself when they were alone there. The tree next to the final cache location would probably have been a tree that Edward and Bella liked. To find the location, solve the puzzle below with the information you collected. Please REHIDE THE CACHE WELL in order to keep things away from the eyes of muggles.